Hatteland Display will supply 19" Series 1 displays for the MTU engine consoles aboard six new high speed corvettes being built for the UAE. The Baynunah Class Multipurpose Missile Corvettes are sophisticated 72m vessels that have a cruising speed of 15knts and can reach a maximum speed of over 30knts, which is achieved through the use of four MTU 12V595 TE90 engines. 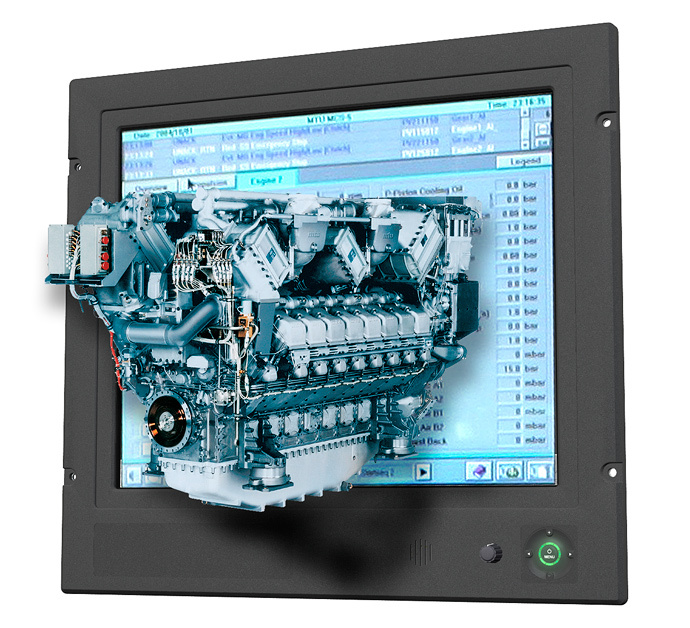 The Series 1 family of displays is well known for its high quality across all of the models, which range from 10" to 27" (widescreen) and are used in automation and navigation systems aboard naval and commercial vessels. Hatteland Display and MTU enjoy a strong relationship in regards to supply of displays for engine display consoles, with 15" touch screen and 17" & 19" MMDs commonly used by the leading engine manufacturer. MTU supplies over 70 navies worldwide and is a major supplier of engines for Corvettes and Frigates. The company's tailor-made propulsion solutions for large naval vessels meets the most stringent naval requirements and specifications and therefore must use the highest quality components available, such as Hatteland Display's 19" Series 1 display. Five of the six new Corvettes, which are named after the Baynunah region of Abu Dhabi, are being built by the prime contractor Abu Dhabi Ship Building, whilst one is under construction at major contractor Constructions Mecaniques de Normandie's shipyard in Cherbourg, France. The French built vessel is due for launch in summer 2009 whilst the other vessels are well under construction in Abu Dhabi. Visit www.hatteland-display.com to find out more about Hatteland Display's extensive range of naval and marine displays, computers and panel computers.